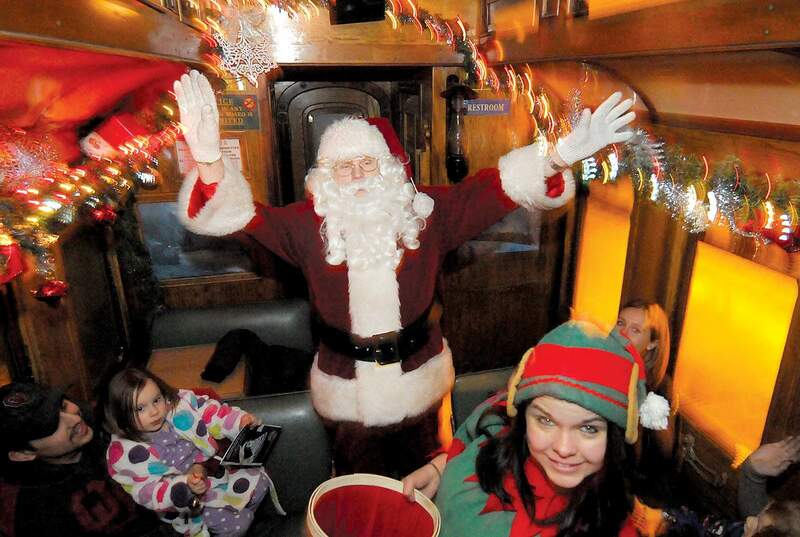 Santa makes an appearance on the Durango & Silverton Narrow Gauge Railroad Polar Express. The “Christmas Across America” special of the television show “Small Town Big Deal” features scenes of Durango filmed last December. The special includes footage of Durango aesthetics, including the Durango & Silverton Narrow Gauge Railroad Polar Express train ride. “Small Town Big Deal” is broadcast on 160 television stations in the U.S., including KOAT-TV based in Albuquerque. For more information about when and where you can watch the show, visit www.smalltownbigdeal.com/christmas-special.